One of the best, most interesting and imagination-rioting ruined castle/fortresses that I've visited and I've been twice in the last two months. My first attempt at a visit was around 15 years, it was closed. I'm not sure why I never returned, just one of those things. It's on my doorstep, I could go anytime. The first entrance was with the Andalucia Travel Bloggers and Tu historia, the association of Medium-sized Towns of Andalucia, in November. Just a few weeks later with family visiting and hubby not having visited yet, I went again. It was a cold blue-sky day with views on the snowy Sierra Nevadas in the distance and clouds of mist rising as we entered the fortress and stepped back into days gone-by. See the evidence of the Neolithic and Bronze Age settlers and Romans, then it was occupied from 713 by the Moors until finally after it was taken for good by Alfonso XI in 1341. This was the last stronghold of the Moors that fell before their final defeat in Granada. An important and strategic location not only between the Moors and Catholic Kings but between the warring Islamic kingdoms. The way the whole monument is preserved and presented is incredibly good. I liked all the information boards, in English and Spanish, with images that brought to life some of the ruins and the models showing the size and extent of the city beyond its walls. On one visit I went in a group with a guide and the next just three of us with a hand-held audio-guide on which you pressed the appropriate button when you were ready. I enjoyed both ways of visiting although if you want to go into the tunnels you have to go with a guide. Each had its pros and cons, not just that the group I was with was Spanish and so was the guided tour. With the guide we could ask questions but had to keep together which was tricky taking photos and no respite on information overload. With the audio-guide you could just stop listening when awash with too much info! La Mota really is worth a visit - or two. Where to stay in the area? 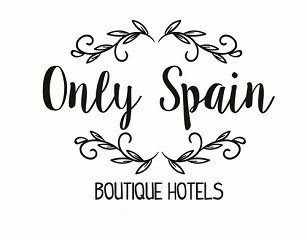 My holiday home, Casa El Reguelo is just an hour away and in the town of Alcala la Real itself the lovely, small B&B Atelier 88 see it on my portfolio of Only Spain Boutique Hotels. Read my post about the Blog Trip to Antequera, Lucena and Alcala le Real.